It's only Wednesday, but this week has already been a rough one. Isn't it crazy how one moment you can feel so uplifted, powerful, ready to take on the world, and the next in a total funk? From a bit of tough news to a few just plain ridiculous moments, I am ready for Friday already. My silver-lining for today? It's October. Finally. 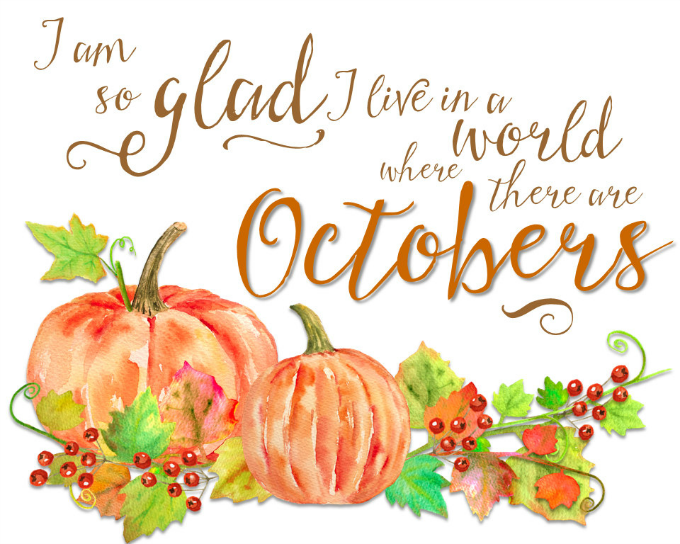 My absolute favorite month of the year. The time when everything finally feels like fall. The time when a Halloween movie comes on just about every night. The time when I can count on a few orange-centered Oreos to lift my spirit. The month of my birthday. The month we're headed to Napa. The month of a few trips to Auburn for some football. It's October, y'all!